Just use your Udio Card for all your daily payments like Grocery Shopping, Filling Fuel, Buying Medicines & more! If you dont have a Udio Card yet then get yours for FREE today! Just pay Rs.49 & get back Rs.49 cashback! 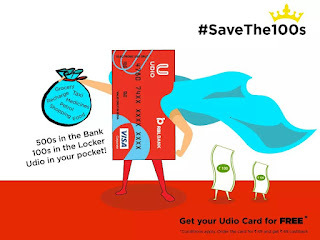 How to get Udio Card for Free? • You will get 49 Rs Cashback Within 49 Hours.